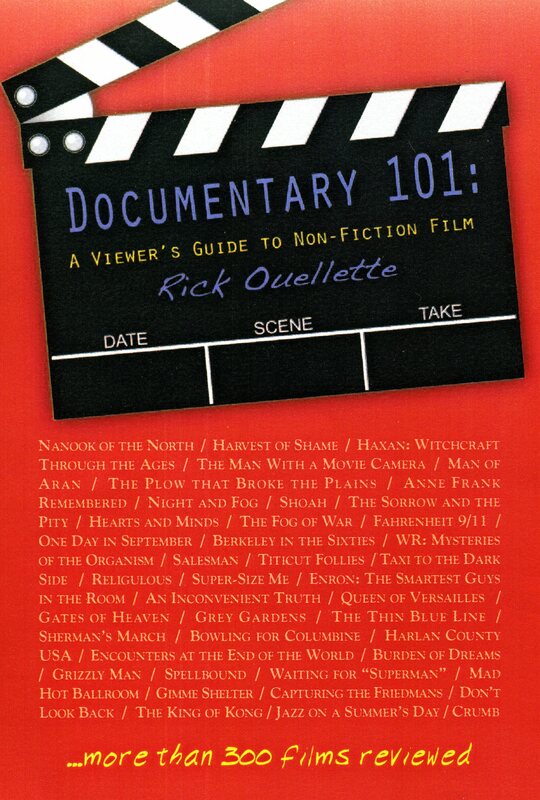 Happy to announce that my book, “Documentary 101: A Viewer’s Guide to Non-Fiction Film”, previously available only in paperback, has now been released as an e-book in all formats—in most cases selling for the low low price of only $4.99. All these sites allow you to “look inside” at the first 40 pages. See below for the links. My publisher BookLocker.com has done a great job on the e-book conversion, allowing readers to land on any of the over 300 reviews by clicking on the title in the table of contents. In my Categories list to the right, the “Documentary 101 Samplers” offer highlights from a more varied cross-section of the book, along with film stills only seen there.